So many people! Where are they all going? It’s exhausting! 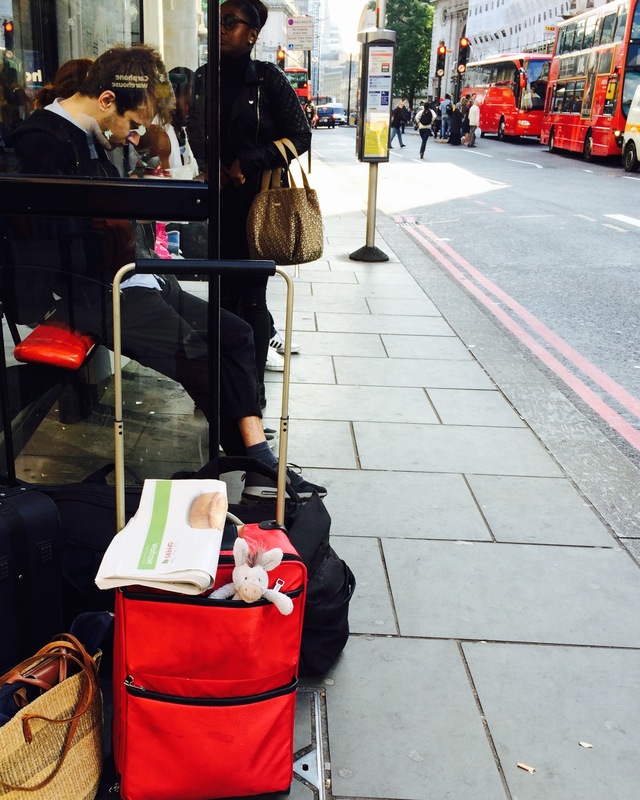 At least DonQui is crossing London by bus — better than the crowded Tube. It might take a bit longer but at least he can look out the window and see the city go by. If he is not sure which bus to take, the handy Citimapper App gives him all the options, shows him the nearest stop and tells him when the next bus is coming. Early next morning it is time to set off for Paris. 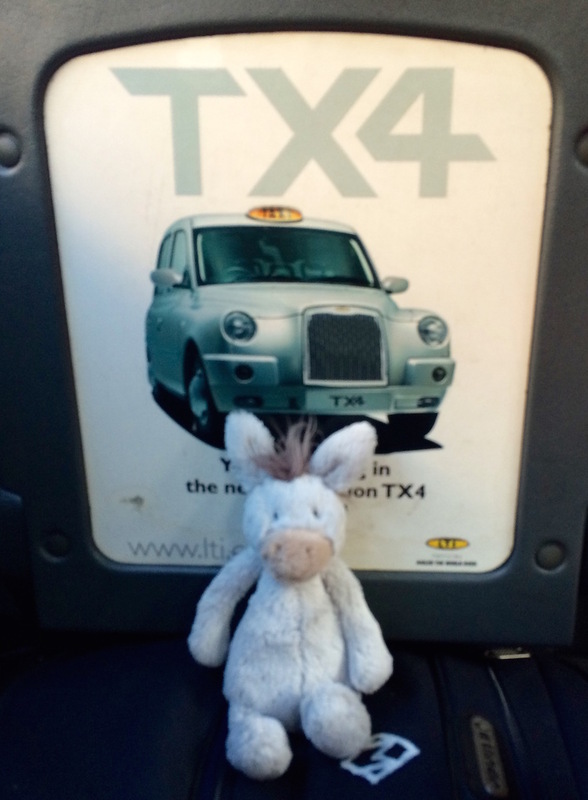 When his is feeling flush, travelling with others or taking lots of baggage DonQui does like taking a black cab. There is lots of space for luggage, and the humans who drive them seem to know everything. They also know every road in London and where all the shortcuts are. DonQui hopes that satnavs and Uber will not seal their doom. DonQui uses his Hailo App to call up a Black Cab any time or any place and takes credit cards as well. Citimapper for getting around Town. He uses it to find the best routes around London but it is available for other cities too.